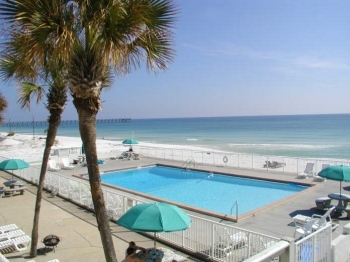 Have you ever dreamed about owning a condominium along the pure-white sand beaches of our Emerald Coast? Now is the time to invest in Gulf-front condos to Multi-Family Units. We handle properties for all of your needs; Investments or Personal use. Whatever you are looking for, we can help you find a beautiful investment property right for you. 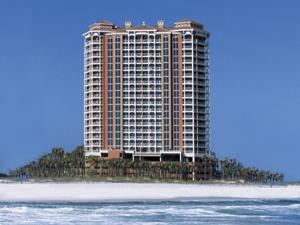 Why not own your condo on the Gulf of Mexico to use whenever you please. As a rental unit, have tourists pay for your mortgage, utilities, everything. You get the pleasure of using your Condo and reap the benefits of the highest property value increases in our market. Multi-family units contribute cash flow and increased equity enhancing your financial position. For more information on condominium pre-sales look no further - We Deliver! Located on a pristine stretch of nature-preserved land bordering both the Gulf of Mexico and the tranquil waters of Santa Rosa Sound, with unobstructed views. The Portofino redefines �exclusive.� Five elegant towers each separated by 300 feet of ecologically preserved land will feature their own lobby, pool and hot tub, 2 & 3 bedroom designer interiors, huge balconies for entertaining, and water views from nearly every room. Elegant columns, domed entryways, arched ceilings and Roman whirlpool baths only begin to describe The Portofino's distinct Mediterranean feel. An Island residence reminiscent of the Italian Riviera. Amenities include: Lighted Rubio courts, watersports for exploring both shorelines, bicycle rentals, scenic nature trails, amphibious watercraft for transporting guests across the sound to the Tiger Point golf course, private tram, 40,000 square foot Avenda Concept Spa overlooking the bay, state-of-the-art fitness center, juice bar, masseuse, hot tubs, indoor lap pool, outdoor paradise of tropical pools by the bay. The Portofino's also offers an intimate wine bar �Blue� and the candlelit Terra Cotta restaurant. If you would like more information on how to invest at The Portofino Click Here. Introducing The Emerald Dolphin, majestically overlooking both the Gulf of Mexico and Santa Rosa Sound. 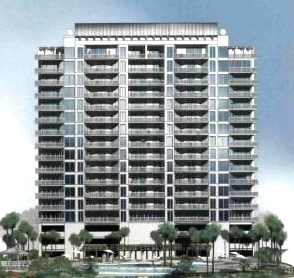 This 17-Story Luxury Condominium Tower features 2, 3, and 4 bedroom homes plus luxurious penthouses. Perfect for investors! This is an incredible investment opportunity for pre-sales and existing units! Don't wait to capture the lifestyle of Gulf Beach living! Immerse yourself in an array of resort activities and amenities. Discover the ultimate in luxury with panoramic views of emerald green waters and crystal white sand beaches. All units have Gulf and Sound Views. Emerald Dolphin offers a Waterfall pool, exercise room, quiet west end of beach and more await you at this premiere Pensacola Beach Resort! 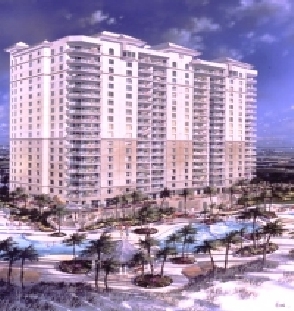 If you would like more information on how to invest at Emerald Dolphin Click Here. A crystalline Gulf view serves as the sweeping backdrop. The lush pool area offers waterfalls, reflection beaches, children's water play area elevated spa and gazebo invites you to test the cool clear waters. Designed activities keep your guests entertained year round. Catch a movie in the modern theater, or have a cocktail and chat at the social club area. Keep fit in the state-of-the-art fitness center, or play a round of tennis. When you are ready to return to the welcoming space of your home, a private elevator, will swiftly deliver you to the front door of your residence. Are you ready to capitalize on the ultimate investment opportunity at Indigo of Perdido Key? Click Here. The time to act is now. Interest rates won't stay low forever. Capital appreciation, Tax benefits, and peace of mind that your investment will pay in the short or long term. Contact us today to make the Gulf Coast a part of your Investment Portfolio! Let us deliver what you have only dreamed about. Click Here for more investment opportunities, or call Wayne & Megan direct at (850) 341-4489.